Earlier today Nintendo announced the first two Pokémon titles for the Nintendo Switch. Pokémon: Let's Go, Pikachu! and Pokémon: Let's Go, Eevee! will be available on November 18, here's everything we know about the RPG games so far. The first thing to note is that these are not like the traditional Pokémon games we have come to know. Both of these titles will not feature the wild Pokémon battles that players have come to know and love, as the game will take heavy influence from Pokémon Go. Trainer battles are still a thing, though, thankfully. Storyline-wise, the games say they will "return to the Kanto region and experience a classic Pokémon journey in a whole new way," so it looks and sounds like it will rehash some, if not all of the events from games like Pokémon Red and Blue, including run-ins with Team Rocket that can be seen in the trailer. 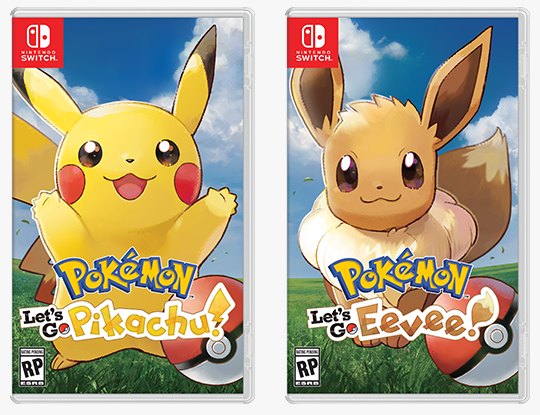 It appears that the main difference between the two titles is which Pokémon will be your main companion in the game, either Pikachu or Eevee. The game is playable with one JoyCon on Nintendo Switch. When a Pokémon is found in the wild, the player is presented with only a few options: "Get Ready," "Items," "Help," and "Run Away." The player then flicks the JoyCon to throw the Poké Ball at the Pokémon to catch it, just like in Pokémon Go. 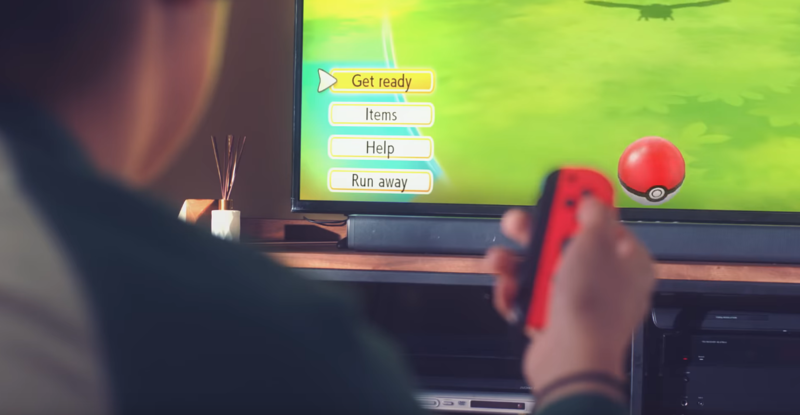 The trailer also shows a friend join in with a second JoyCon to play some local co-op. There will be no online multiplayer for the title, so local co-op will be the only way to play with friends. Pokémon: Let's Go, Pikachu! and Eevee! both can be playable with an optional Poké Ball peripheral, as seen in the trailer. Players can use a mini joystick on the Poké Ball to navigate, flick it to throw the balls in game, and then take the Poké Ball with them on the go. It features lights and noises as if a Pokémon is inside. Both Switch titles can also link with Pokémon Go on mobile phones, allowing you to send presents back and forth within both games. It's very clear that the popularity of Go was a huge influence on both titles. Pokémon: Let's Go, Pikachu! and Pokémon: Let's Go, Eevee! will release for the Nintendo Switch on November 18. Adam Newell also contributed to this story.